In the lead up to Halloween, we thought we’d take a slightly different approach to our normal blogs on waste management, and take a dumpster dive into the stranger side of rubbish collection. If you’ve ever wondered what kind of weird, wonderful, and outright unusual things have been found in rubbish and skip bins, you’re about to find out. From valuables and weapons to intoxicated people and live animals, you’d be surprised at some of the weird things that pop up in skip bins Perth, and around the country! While dumpster diving, a man found a police evidence bag hanging out of a discarded handbag. Safely packed away in the bag was a phone, 100 grams of marijuana and more drug paraphernalia. Though the man never actually revealed himself to the police, he did leave the evidence bag outside a local police station with a note explaining what he had found. You might have seen references made on TV shows about police officers and junior detectives looking for evidence in skip bins, but did you know just how lucrative this practice really is. Police have been known to find everything from stolen goods and cash registers when businesses have been broken into, discarded weapons after attacks or even valuables that have gone missing in robberies. A security guard in a high-end apartment building was so pleased with his find of a fully-functional oven that had been thrown out, that he has taken to dumpster diving in the skip bins near his work on a regular basis. He has found all manner of goods, from designer clothing and handbags that still have the tags on, to expensive jewellery. This just proves that one man’s trash really can be another man’s treasure! This seems almost too terrible to even think about, but it happens more often than you might expect. 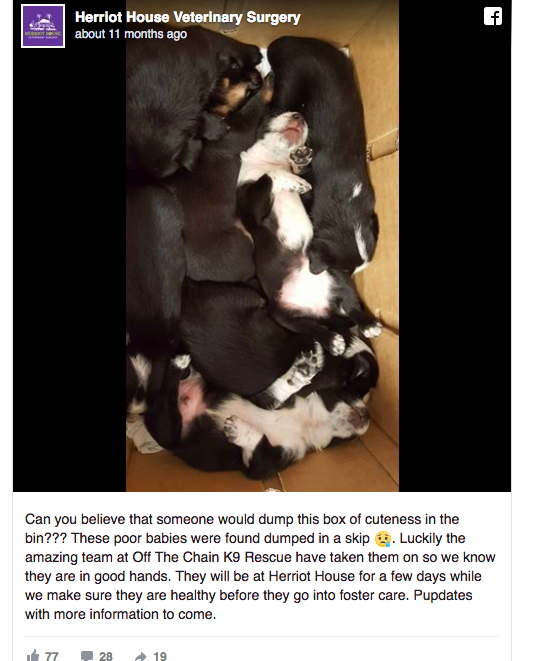 While the odd stray cat or possum sometimes finds its way unexpectedly into a skip bin, a passer-by in Toowoomba, Queensland got a little more than he bargained for when he found seven puppies sitting in a box at the top of a skip bin. 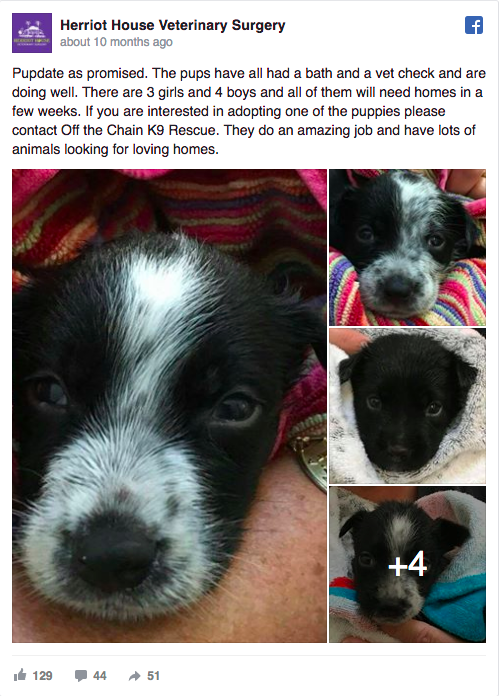 The puppies were taken to Herriot House Veterinary Surgery, where they were treated and later put up for adoption. Despite a rough start, all of the puppies were lucky enough to get adopted into their forever homes. Back in January of this year (2017), a cute little quokka from Rottnest Island off the coast of Western Australia, went on an epic adventure when he managed to hitch a ride to the mainland in one of Perth Bin Hire’s skip bins. He went unnoticed by the barge crew, sparking a massive hunt where authorities were offering anyone who found him a free holiday. 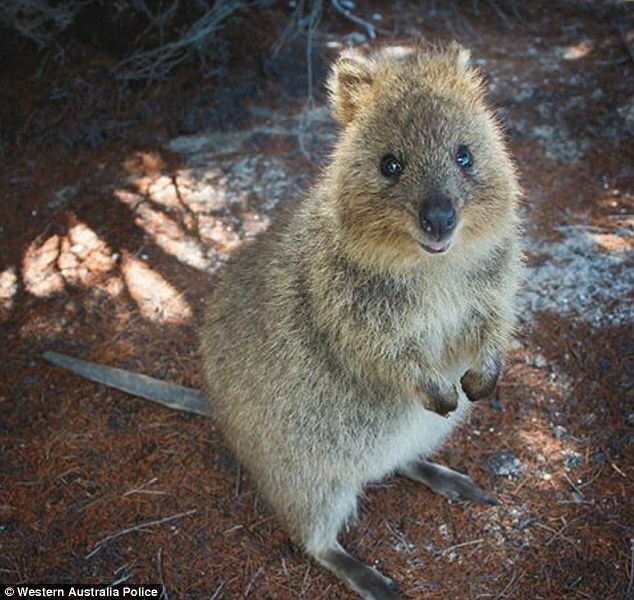 This one little quokka managed to make headlines across the world and is definitely the perfect example of what you would not expect to find in a skip bin. Even though some pretty unusual things have been found in skip bins, for the most part, trash is usually made up of plain old rubbish, like construction waste, old furniture and everyday household waste. 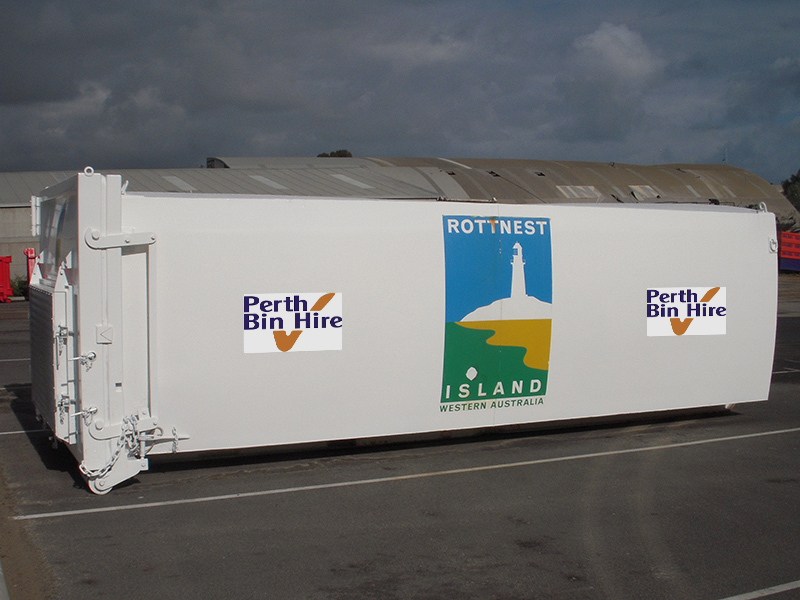 To learn more about what should and shouldn’t be put in a skip bin in Perth, contact the team at Perth Bin Hire.